The Albany Public Schools Foundation announced its list of annual scholarship winners. The awards go to graduating seniors from Greater Albany high schools. Albany Public Schools Foundation issued a press release announcing the winners. 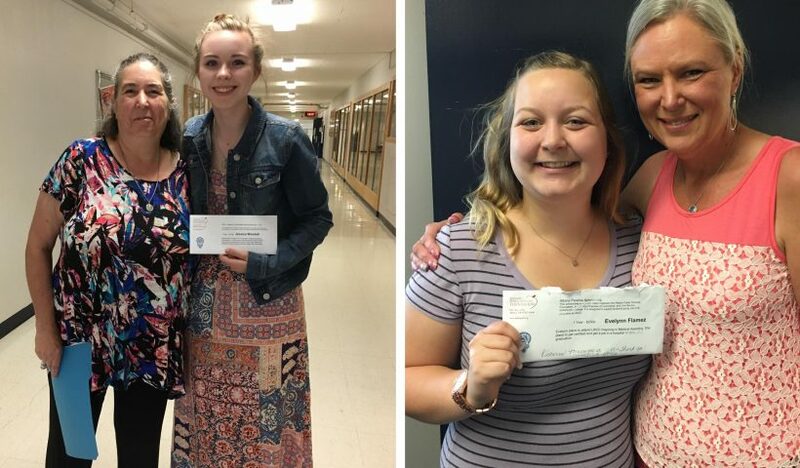 Pictured are Jessica Woodall (left), winner of the Chris Lukesic Memorial Scholarship and Evelynn Flamez, winner of the Albany Chamber Pipeline/LBCC scholarship. The Albany Public Schools Foundation was honored to award nineteen scholarships, totaling $44,250, to high school seniors from the 2017 Albany graduating classes this year. Albany Options scholarship award winners were: Jordan Monet Jackson, Albany Public Schools Foundation scholarship; Alan Hernandez, Albany Chamber Pipeline/LBCC scholarship. 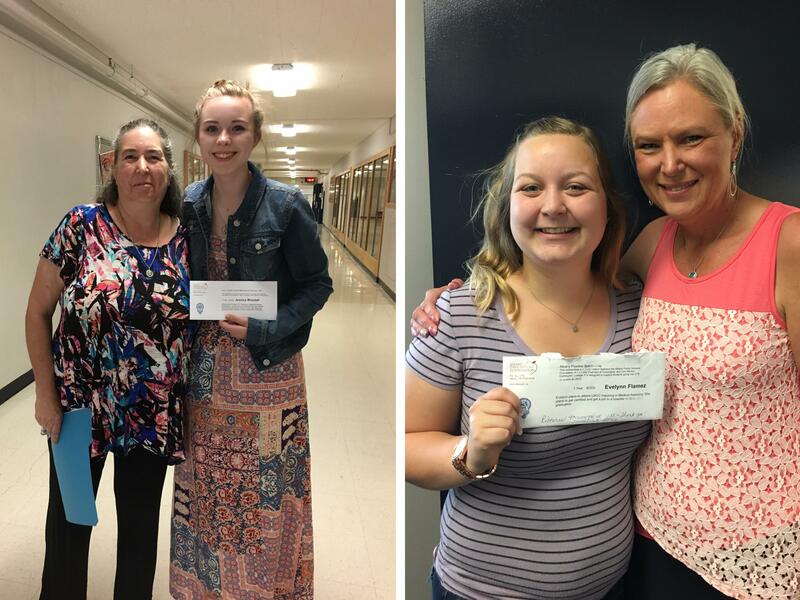 South Albany High School scholarship award winners were: Emma Clare, Jim Linhart scholarship; Riley Swanson, Howell/DKG scholarship; Hannah Barber, Eric Mann scholarship; Cristian Amador and Katie Osuna, Jeanne Linn scholarship; Katie Osuna, Central Willamette Credit Union scholarship. West Albany High School scholarship award winners were: Josh Rondeau and Delanie Phillips, Teddy Brown scholarship; Felicia Lopez-Martinez, Jim Linhart scholarship; Denisse Medina, Joseph Blickenstaff scholarship; Jessica Woodall, Chris Lukesic Memorial scholarship; Lauren Schuh, Howell/DKG scholarship; Anthony Straw, Botkin Memorial scholarship; Evelynn Flamez and Kylan Moe, Albany Chamber Pipeline/LBCC scholarship; Emily Harding and Riley Lamont, ATI – Allegheny Technologies Inc. scholarship. The Albany Public Schools Foundation scholarships range from $500 to $5000 and are available for one to four years. The Foundation, founded in 1984, has awarded $348,994 in scholarships. In addition, the Foundation funds classroom grants and school enrichment grants providing support for education enhancing opportunities throughout the Greater Albany School District. Please contact the Albany Public Schools Foundation at 541-979-2773 for more information on how you can help support kids in the Greater Albany Public School District through setting up or donating to a scholarship fund.